The animated film Norm of the North features animals, ecological responsibility, and the pillorying of grotesque, rich bullies — and snow. 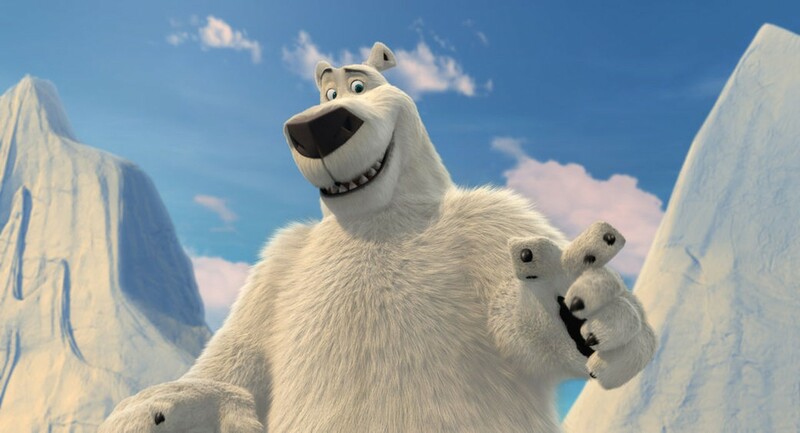 Rob Schneider lends his voice to Norm of the North. Directed by Trevor Wall. With the voices of Rob Schneider and Heather Graham. Opens Friday. A reviewer's confession: I don't review as many animated children's movies as I probably should. The few cartoon features that rate a close look tend to be either foreign films aimed at grownups (When Marnie Was There; Kahlil Gibran's The Prophet) or "prestige" stateside hits like Inside Out. The animated family pics that regularly sell carloads of tickets in the plexes — Inside Out, Minions, Big Hero 6, Teenage Mutant Ninja Turtles, and Hotel Transylvania 2 together account for some $1.3 billion of theatrical box office to date — generally are just too "juvie" to merit a serious review. 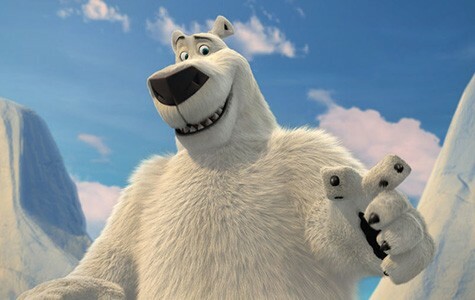 But in the interest of due diligence, I snuck into the Saturday matinee preview screening of Lionsgate and Splash Entertainment's Norm of the North, just to see which way the wind blows. The kids and their parents intently followed the efforts of a talking Arctic polar bear named Norm (voice of Rob Schneider) and his friends to stop greedy New York real estate developer Mr. Greene (Ken Jeong) from building luxury condos at the melting North Pole. Everyone laughed at the antics of Norm's furry little pals, the lemmings — despite (or maybe because of) their predictable bodily function jokes. Animals, ecological responsibility, and the pillorying of grotesque, rich bullies continue to be reliable PG-rated themes. Also snow, à la Frozen and innumerable penguin flicks. Director Trevor Wall's apparent agenda (the screenplay is by Daniel and Steven Altiere and Malcolm T. Goldman) shows deep skepticism about the intended "One-Percent" customer base for the snow-job Greene Homes. Only the determined solidarity of the endangered critters — with help from conflicted marketing rep Vera (Heather Graham) — can thwart the misguided project. Will the toddlers in the audience remember Norm's environmental campaign as they grow up? Perhaps. But they definitely get the word in Norm of the North.